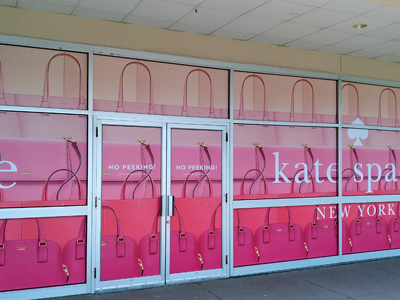 Draw the attention of everyone walking by your building with some storefront window display graphics. Maybe it’s the person living one block away from your business or a group of tourists looking for a cool building to hold a quick photoshoot in front of. 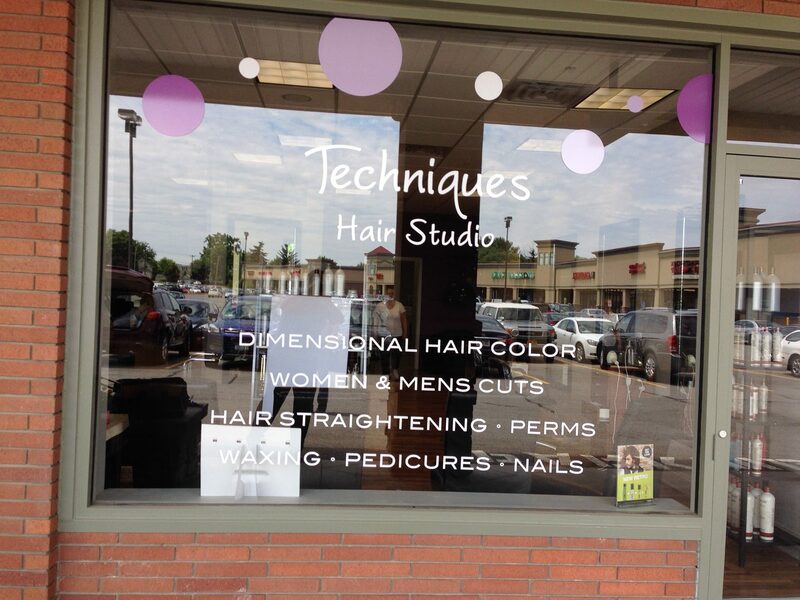 With window graphics, everyone is invited to stop, give a second glance and come inside to see what you have to offer. If these products sound like something you’d like to add to enhance business in your building, SpeedPro is here for you. 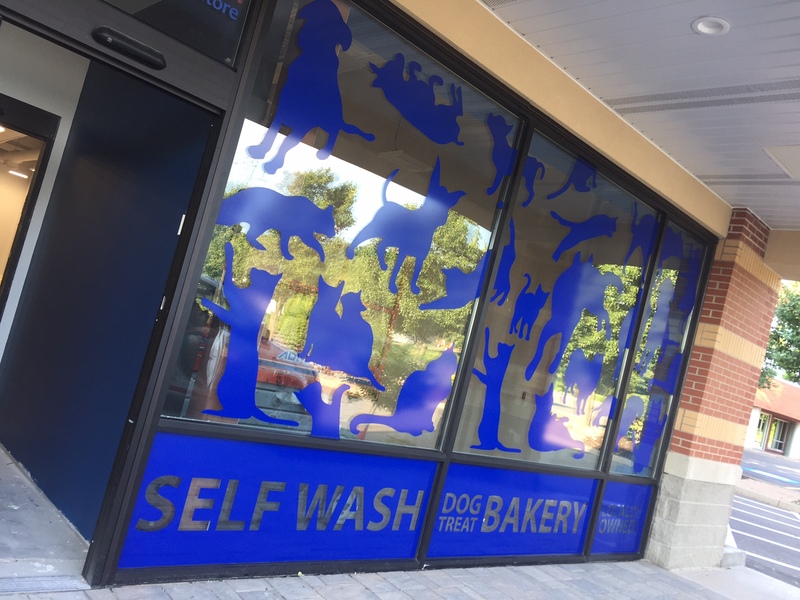 With our custom window graphics, we can transform your standard business storefront into a dazzling and branded customer invitation. 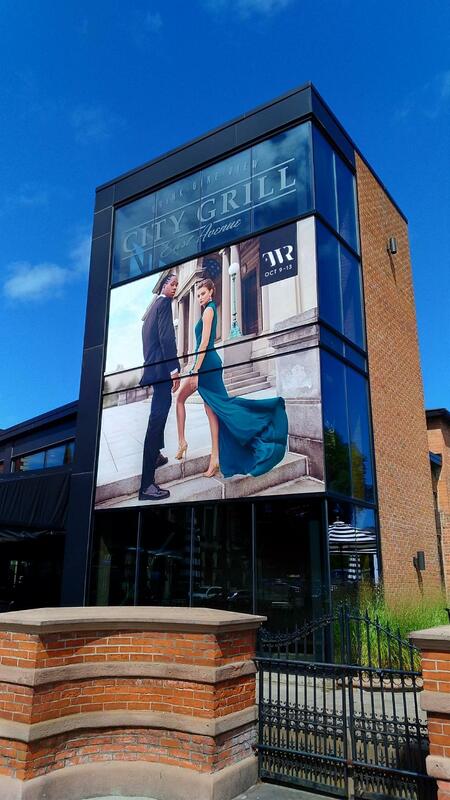 SpeedPro Imaging Rochester is ready to deliver eye-catching visual solutions for your business. Contact us today, and we’ll start by setting up a consultation! 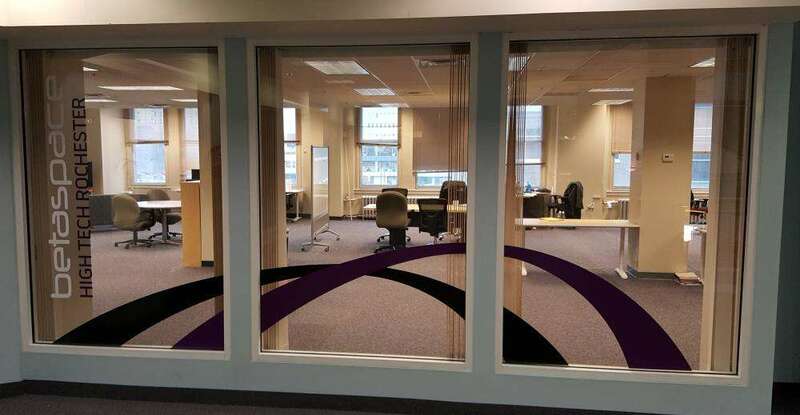 Our studio’s combined 16 years of experience in marketing and design will do more for your business than simply coloring and drawing on your windows. Business window displays will encourage customers to walk in through the door while indoor custom graphics will be dotted around the office, reinforcing the brand and message of your company for all to see and be reminded of. 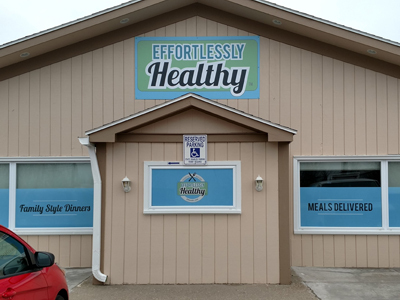 On the exterior, before customers walk in, you’ll want to attract their attention with bold and vivid graphics. Alerting the public to when and what upcoming sales are occurring will also help bring customers back, inviting them to return again and again. Our graphics can also help new guests feel prepared and at ease for whatever they’ll see once they walk through the door. 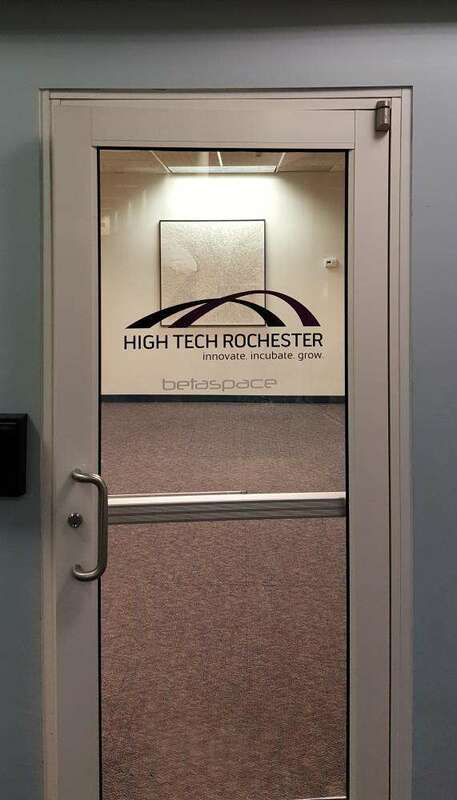 Inside, window graphics can be used on office doors and dividers. 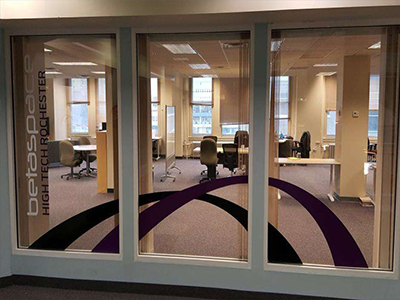 Decals can also be utilized to stick on walls or windows. If people see an image that represents the brand every time they turn a corner, they’ll definitely get a sense of community and know they’re visiting a professional yet welcoming atmosphere. Frosted windows have a nice illusionary effect. 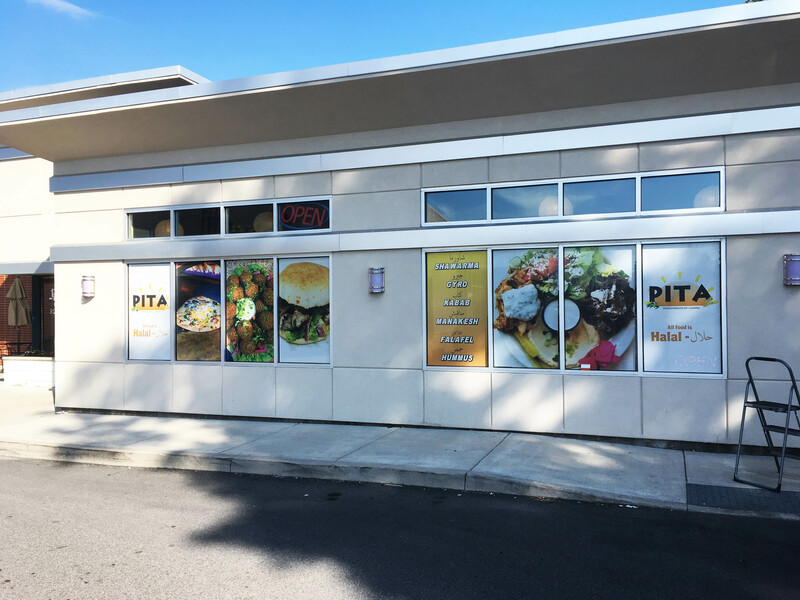 The softer look of the graphic enables the image to be seen while also allowing the customer to look through the window to see inside. 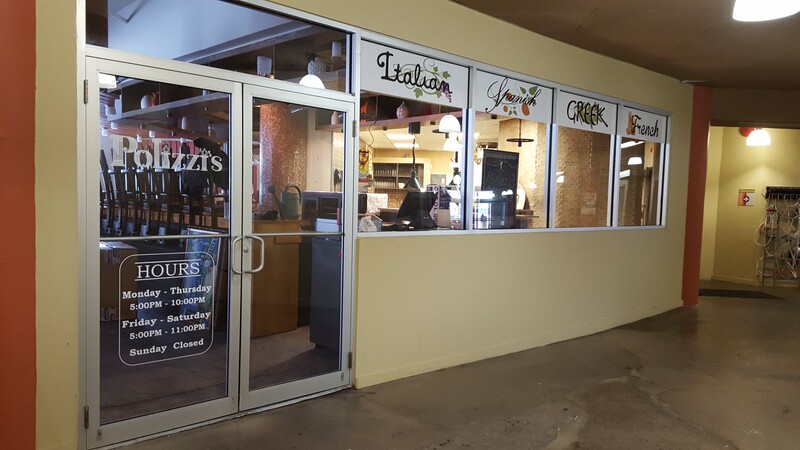 Perforated window film is typically the best at creating impactful graphics spread over a large space. Because of its vinyl material, perforated film supports our strong and vivid inks. When paired with our variety of adhesive strength options, your graphic can be removed in a short amount of time or remain permanent for years. 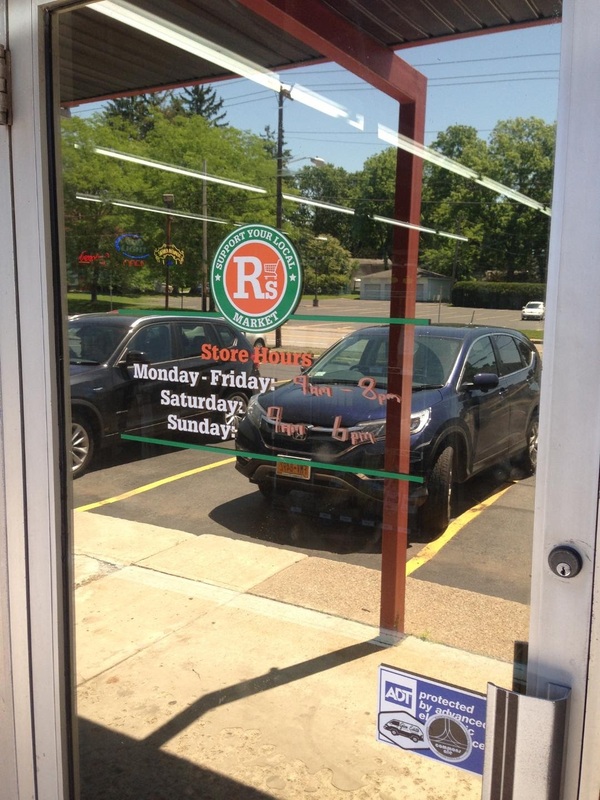 Window clings are the easiest option for your business window graphics. These clings are printed onto white or clear backgrounds so as to not distract from the graphic being presented. 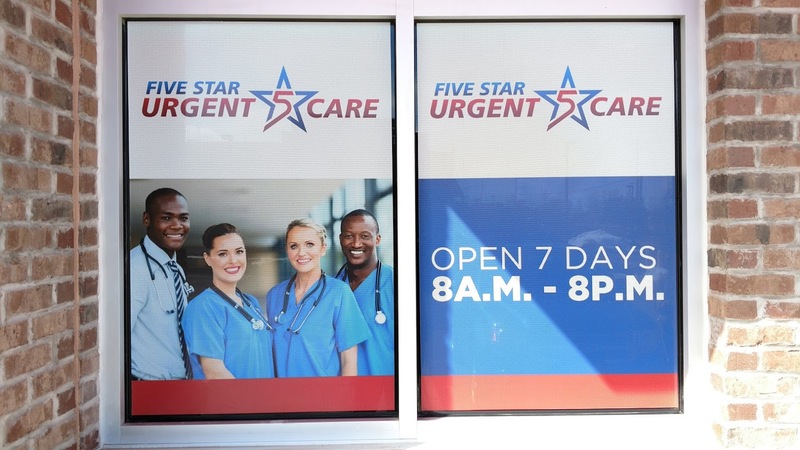 Window clings range in sizes to meet your needs for displaying information. They’re super easy to apply to your windows and just as easy to remove when your promotion ends or you want to show off another feature. 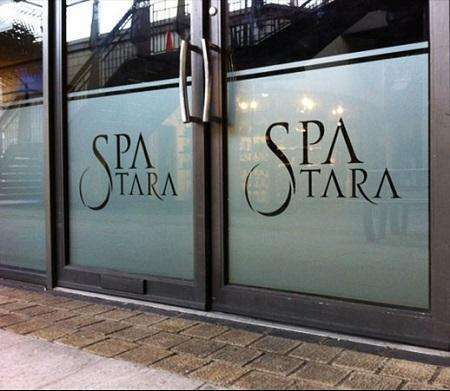 We’d love to partner with your business to create some stunning and eye-catching window designs! Once we set up a consultation, our first question will be which side of your window you plan on applying the graphic to. This information will help us in making sure we don’t accidentally print you a backwards window cling or frosted graphic. No matter what you have in mind, contact our studio in Rochester today so that we can get started on your project!